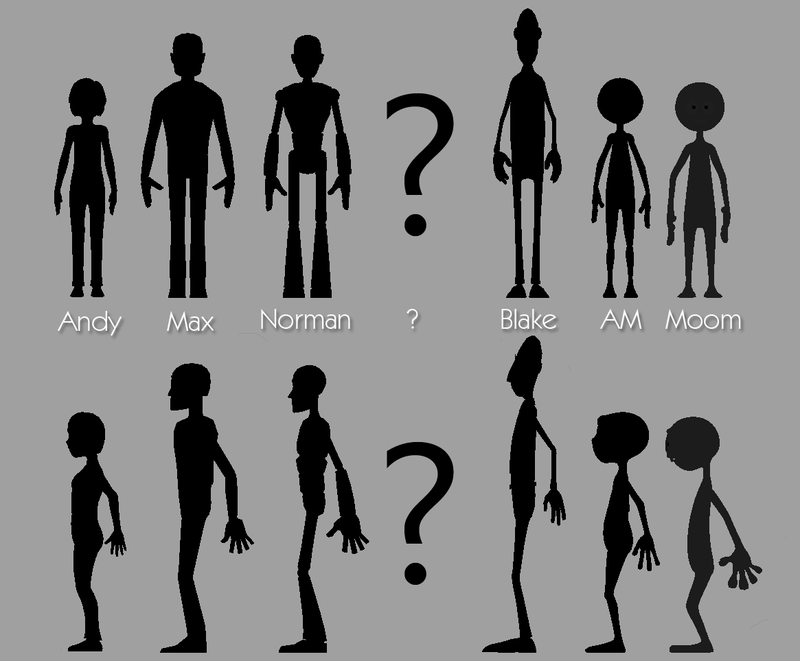 One of the neater things I think there is with the Norman rig is that folks have found ways of modifying it so that they all don't look the same. Some of the Animation Mentor students have begun doing the same and to me it makes a huge difference rather than just seeing the same character all the time. So one of the features I want to implement in project Morpheus is at least providing an initial leg up in that department for animators using it. Here's a quick proof of concept attempt on a 80% complete body model. The idea is that people can vastly change their appearance by working out, eating more, eating less or whatever- it's still their same skeleton. I know that women and men have different skeletal proportions but hey this is animation and I can break rules if I want to. Right? Still gotta decide where to do the head cut off from the body and if doing a single body mesh makes sense. 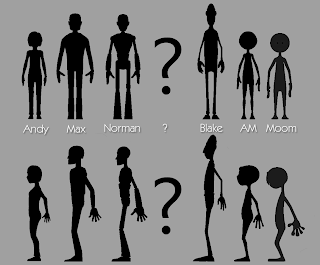 Initially Morphy will will have several body sizes to choose from for the animator depending on what they wanna do in their animation exercise. I plan on doing the same in terms of facial tweaks (noses, jaw lines, hair, etc) to provide. I've been wondering about trying to see if some of the body stuff can be done via displacement maps and what not but as I don't have a lot of experience in that area it'll have to wait. The final Morphy will be fully UV'd should anyone care to go nuts on that front. Body - 80% done. Will probably end up shrinking the feet and adding more edgeloops for mophing detail. Hope everyone has a great memorial day weekend. Think we're just gonna hang out with some friends and get caught up. Also, finally saw How to Train your Dragon last weekend and it was awesome. Got the art book this week. Likewise. Been collecting reference and what not as well from a myriad of choices. 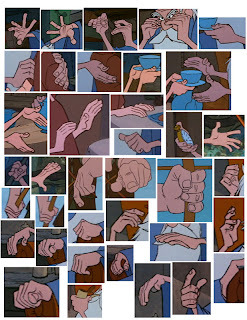 I've fallen in love with Milt Kahl's animated hands from Sword and the Stone and so I think I'm gonna go for something kinda like that. 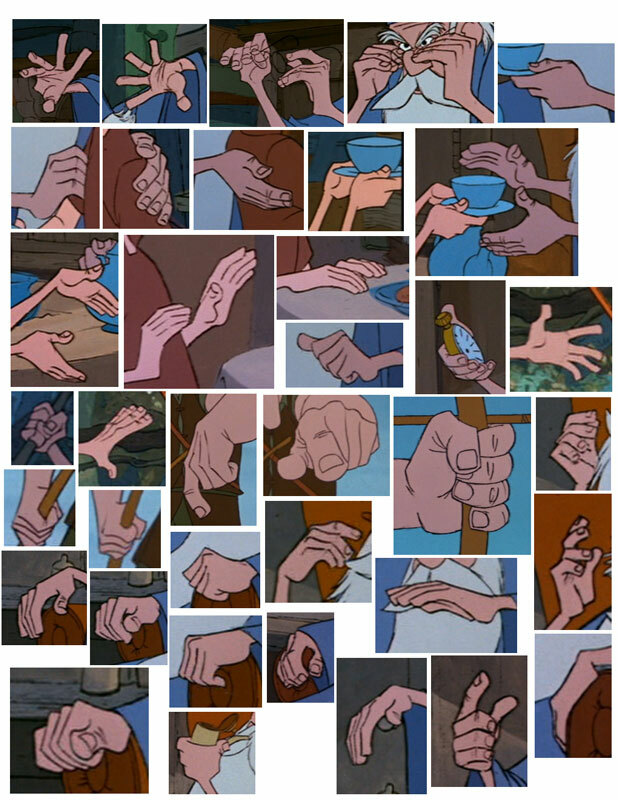 Hands are such a huge pet peeve of mine on character rigs. I hate not being able to get the shapes I want or when the fingers are too long and can't roll up well. All characters shown copyrighted to their respective owners. But that "?" is all mine! 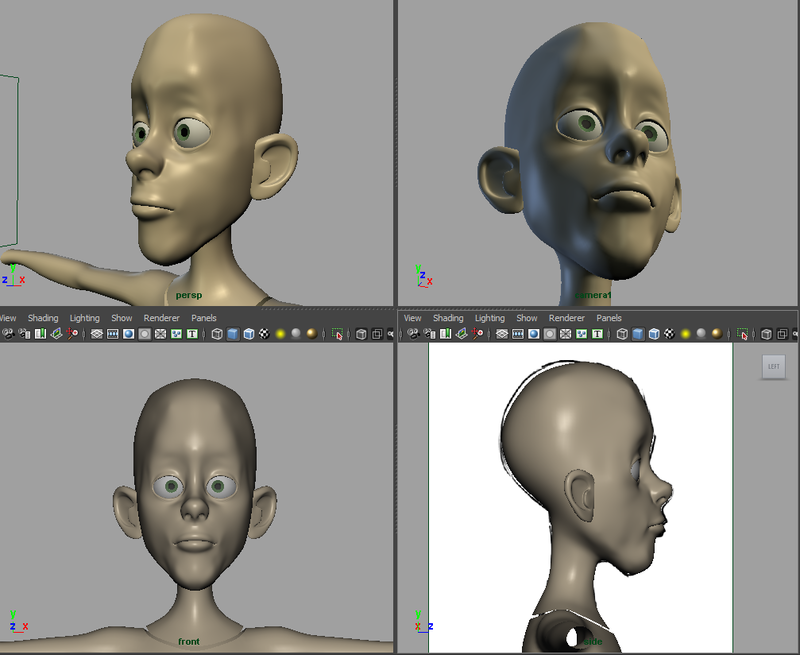 As I mentioned last post, I've been looking into doing another character rig. "Project Morpheus " is a temporary project name but for now it'll suffice. First thing I did was pull up some of my favorite rigs I've seen used to good effect so as to not recreate the wheel. Or at least not recreate the same silhouette. I was surprised how similar some of them were and decided to keep being different in mind as I started designing the character's body. I'm in between gigs right now (waiting for answers on a couple of things) and trying to be productive in the downtime. Working on updating the reel,website and resume for another releasing of the doves hoping for an olive branch. Bokser wants me to do one more Garden City shot so I'll probably end up with one more there. Been going through Jason Schleifer's fantastic rigging for animators series and learning loads I plan on implementing. He recently started releasing the DVD's himself at a substantial savings to what they had been on Autodesk's site. Using animator friendly principles from Jason Schleifer as well as ideas displayed in others rigs. Pretty close to final on my last shot of Garden City. It makes a lot more sense with the music but you're just gonna have to wait to see that in the final film. Also, there're 10f heads and tails on the shot. Gonna start getting together a new reel here with a bunch of new work to send out and there are a few projects on the verge of happening that should keep me busy for a few months. Anyone else in Texas see the absolutely amazing lighting storm last night? It was like a strobe-a-thon for an hour lighting up the landscape clear as day at 15fps or so (that's flashes per second). Wish I had a camera capable of taking that in. They just keep coming...Best of luck to the class of '10! Blocking (maybe a bit further along then blocking) on my FINAL Garden City shot. Can't wait to start seeing some renders. The shot is directly before the house falling a part one from a couple of weeks ago. First off, here's a pretty close to final pass on the last (sequential shot) in my last Garden City sequence. Still not happy with a couple of things but waiting for notes from Bokser before hitting them up. Secondly, here's the Squirrely animation which he'd specifically requested to see with controls.